Lately it seems everyone is talking about the ketogenic diet, intermittent fasting, or Bulletproof Coffee. In fact, all three methods are very much interrelated and work best when used synergistically. If you are looking for a “bulletproof” way to lose weight, then intermittent fasting on a ketogenic diet with a daily cup of Bulletproof coffee can be extremely beneficial. Bulletproof Coffee is actually a brand name for a beverage that the Bulletproof company promotes. This caffeinated, high fat, butter laced hot beverage essentially consists of organic coffee, organic grass-fed butter, and medium chain triglyceride (MCT) oil. This hot morning brew is promoted to suppress your hunger, provide you with a steady stream of energy throughout the day, and enhance your mental clarity. The official Bulletproof brand uses their own Bulletproof coffee, which has been naturally sourced and tested to be free of mold and mycotoxins, Bulletproof ghee (which is clarified butter) and a special form of MCT oil consisting of caprylic acid (an 8-carbon medium chain fatty acid) also known as octanoic acid. The Bulletproof brand name for their MCT oil is Brain Octane, which is a very clever name as you may be familiar with octane levels in gasoline. Moreover, the octane level gives the gasoline its ability to generate explosive power in your car’s engine. Yes, unbelievably, an 8-carbon fatty acid that is in Brain Octane is an isomer (same formula, but different arrangement of molecules) of the fuel that you put in your vehicle’s gas tank. How Does Bulletproof Coffee Work? Your body produces many hormones and hormone like substances that control various metabolic functions including hunger and satiety. Bulletproof Coffee claims to help suppress your hunger and give you clean energy without that terrible crash. But how does it work? The caprylic acid (Brain Octane) is a great “brain fuel” and scientific studies show that caprylic acid raises your serum ketone levels much more effectively than any other source of fat. Your brain can utilize these ketones for energy very quickly, (within 15-45 minutes) which can lead to clearer thinking and decreased fatigue. However, in order for the caprylic acid to increase your ketones, you must be in a fasted state (no food for at least 12 hours). Additionally, the caprylic acid (Brain Octane) can decrease your “hunger hormone” ghrelin, while at the same time increasing your “satiety hormone” cholecystokinin (CCK). Consequently, consuming caprylic acid can reduce your hunger levels. 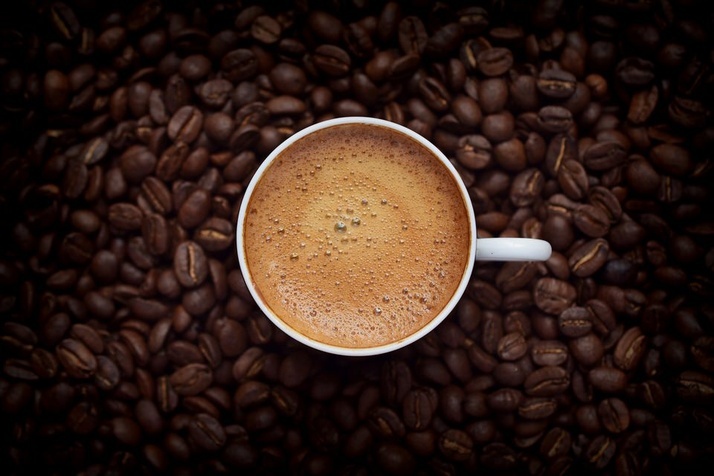 This coffee recipe incorporates high quality, full fat, organic ingredients. The saturated fat in the butter increases your HDL (the “good” cholesterol). Additionally, this hot, fat-laden beverage contains no sugar and no carbohydrates and therefore, minimizes your insulin release, stabilizes your blood sugar, and suppresses your hunger. Another benefit of Bulletproof Coffee is the hormone enhancing effect of the cholesterol in the butter. Why should you combine Bulletproof Coffee with a Ketogenic Diet and Intermittent fasting? The key to losing weight is to get your body into fat burning mode or ketosis. When your stomach is empty, your body has a choice, either burn your own body fat, or generate sugar (glucose) in your liver to provide energy. However, when you are habituated to a state of ketosis (by incorporating a ketogenic diet), your metabolism will preferentially burn your own body fat, rather than generate glucose (via gluconeogenesis). Therefore, when you intermittent fast on a very low carbohydrate diet (ketogenic diet), your body will switch to burning your body fat as an energy source and generate ketones. Here is where Bulletproof Coffee can be advantageous for weight loss. When you do intermittent fasting, you essentially delay eating breakfast (or skip breakfast altogether) to maintain your state of ketosis. However, when you consume Bulletproof Coffee for breakfast, you can maintain your state of ketosis, without interrupting your body’s fat burning processes. In other words, having a cup of Bulletproof Coffee as a meal replacement for your breakfast can extend the length of time of your effective “fast”. Whether you decide to try the Ketogenic diet, intermittent fasting, with or without a daily cup of Bulletproof coffee, this program can help you lose those unwanted pounds and control your appetite. Do you want to slim down in a scientifically proven method? Have you grown frustrated by diets that never seem to work, or if you have lost weight only to regain it again, then it may be time for you to try medically supervised weight loss under the watchful eye of Dr. Michael Rothman and the staff at MD Wellness. Come in for a consultation with Dr. Rothman by calling, 732-268-7663 and establish a better nutritional plan guaranteed to help you stabilize your blood sugars, reduce your insulin levels, improve your health, and even help you lose weight.